Mark Buck can see some of the 314 turbines in Kansas’ largest wind farm from his office window in Medicine Lodge, where he is superintendent of the Barber County North School District. The nearly $1 billion Flat Ridge project, built in two phases and owned in part by British Petroleum, spans 70,000 acres near the Oklahoma border in south-central Kansas. But unlike most other Kansas businesses, Flat Ridge pays no property taxes on its generators to fund local schools and other services. “I have been the superintendent here for six years, and I have never seen any benefits financially from the Flat Ridge Wind Farms,” Buck said. Buck is not alone. In its rush to attract wind farms, some of which are owned by wealthy foreign-based corporations such as BP, Kansas offered them something no other state has: lifetime exemptions from local property taxes — the lifeblood of local school funding. The exemption helped spark a wind farm boom in the past decade that made Kansas one of only a few states — Iowa, Oklahoma and the Dakotas are others — that get more than 20 percent of their power from environmentally friendly wind. But at what cost? The exemption leaves untaxed for life nearly $630 million in Kansas wind farm equipment, according to the Kansas Department of Revenue. If it were on the tax rolls, that equipment would generate around $82 million a year in additional revenue for the 24 rural counties with wind farms. Of that amount, more than $32 million a year would go to rural school districts in those counties, according to revenue department estimates. And that doesn’t include five wind farms that have yet to be evaluated. The lost revenue to schools is partly compensated by state subsidies designed to help equalize funding between school districts, said Dale Dennis, deputy commissioner of the Kansas State Department of Education. That lost revenue has far-reaching consequences for a state with more than its share of financially struggling rural school districts and a shortfall of hundreds of millions of dollars in constitutionally required school funding, at least according to a Kansas Supreme Court ruling in October. Good teachers have been hard to retain in some rural districts in the state, in part because those districts pay teachers the lowest salaries in the nation, according to a recent study. 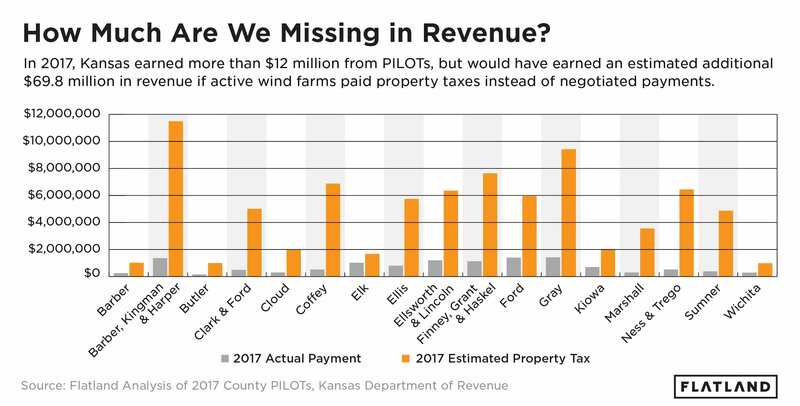 Instead of taxes and often in return for site approvals, Kansas wind farms have agreed to make relatively small “payments in lieu of taxes” (PILOTs) in all those counties. But an analysis by Flatland found that the payments represent only a fraction of what the taxes would be; that they vary widely from county to county; and that county officials seldom direct much of that money to local schools. Some business groups in Kansas tried for years to eliminate the exemption, arguing that it falls too heavily on other taxpayers, but a recent compromise leaves the vast majority of existing Kansas wind farms off the tax rolls forever. “From a school district standpoint, I would like them to go on the tax rolls as we would get some money for the school district that way,” said Marshall Craig, a school superintendent in Coffey County who gets no wind farm money. 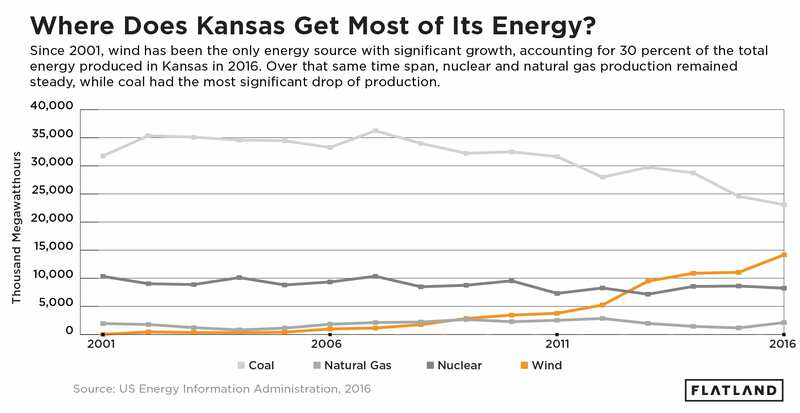 The incentives in Kansas and elsewhere are “a clear example of how corporate welfare for the wind industry comes at the expense of core government services,” said Christine Harbin, of the Koch brothers-funded libertarian think tank Americans for Prosperity. Officials with the Kansas Department of Revenue describe the lifetime exemption, which also applies to other renewable energy such as solar, as a significant incentive when compared to other economic development tools used by the state. Wind industry officials argue that it’s a relatively small exemption and worth the sacrifice. They say that they have helped create thousands of new jobs and that wind farms make more than $16 million a year in lease payments to Kansas landowners. Besides, said Kimberly Svaty, a lobbyist for the Kansas Wind Coalition, the property tax exemption for wind farms represents only a small portion of the $8 billion a year the state hands out in exemptions and incentives to all businesses. Wind farms — already heavily subsidized at the federal level — negotiated additional state and local subsidies when they began moving into the windswept Midwest. Some independent economists also have come to believe that those incentives are no longer needed by a mature, profitable industry. The industry made hefty campaign contributions at the state level and played one Midwestern state off of another, suggesting that if it didn’t get the deal it wanted, it could locate in another state. Across the country, the wind industry gave more than $7.2 million in campaign contributions to state legislators last year alone, according to data collected by the nonpartisan, nonprofit National Institute on Money in State Politics. After California and Iowa, Kansas legislators received the third-highest amount: $396,824. Wind farm incentives in all 35 states where the farms are located vary significantly, according to a 2014 study by Barton Delacy, a Chicago-based property tax consultant. While California, Washington and Oregon provide few if any incentives for wind farms, some Midwestern states — where campaign contributions flowed — appear to have offered up much more. Iowa offers a production tax credit, similar to the federal production tax credit, and a five-year property tax exemption. Illinois and Indiana offer no local incentives. In Nebraska, instead of property taxes, wind energy companies pay a capacity tax per megawatt of generating capacity annually. Missouri offers a sales tax exemption and other local incentives. Oklahoma offers a five-year property tax exemption and an array of other incentives. But Oklahoma made up for the loss to local schools by reimbursing the districts an amount equal to those missing taxes. In Kansas, however, the exemption and the fallout from it led to large school funding inequities between Kansas and other Midwestern states. Rural schools in Sumner County in south-central Kansas, for example, get no tax money from wind farms and only a small amount from the PILOT agreement. Yet only a few miles away, across the state line in Kay County, Oklahoma, schools are raking in $3.2 million a year from wind farm-related state payments. The exemption also meant local governments in the state’s 24 wind farm counties were on their own to extract whatever wind farm payments they could. In the end, county commissioners negotiated PILOT agreements with 31 Kansas wind farms. The wind industry says the payments are voluntary, but the language in many of the agreements indicates that the payments are often in return for site approvals or other concessions from county governments. Most Kansas PILOTs are based on the number of megawatts the farms produce. In other words, the more electricity the farms pump into the power grid, the more money flows into county coffers. But those per-megawatt payments vary significantly from county to county, according to an analysis by Flatland. Butler County, just east of Wichita, negotiated payments of $1,000 per megawatt in 2006, while Elk County, which shares a border, got $4,500 per megawatt in 2011. For Flatland’s analysis of all 39 PILOT agreements, and how lack of state oversight greatly affects the outcome for each county, see the sidebar at the bottom of this story. Industry officials said the differences are often unavoidable and based on the individual economics of each farm, which can vary significantly based on factors such as how much the farms get for the power they produce. But the PILOT agreements do have one thing in common. None of them pay counties more than a fraction of what they would receive if the wind farms had remained on the tax rolls. In fact, total PILOTs in the wind farm counties this year are expected to total somewhere between $12 million and $16 million, depending on several variables. That’s less than a fifth of the more than $82 million those counties would get if wind farms had paid property taxes, like most other businesses. Like many rural schools across the country, those in Kansas are struggling. Average teacher salaries in rural districts, the report said, are lower than their urban counterparts — ranging from a high of $88,000 in Alaska to a low of $41,000 in Kansas. 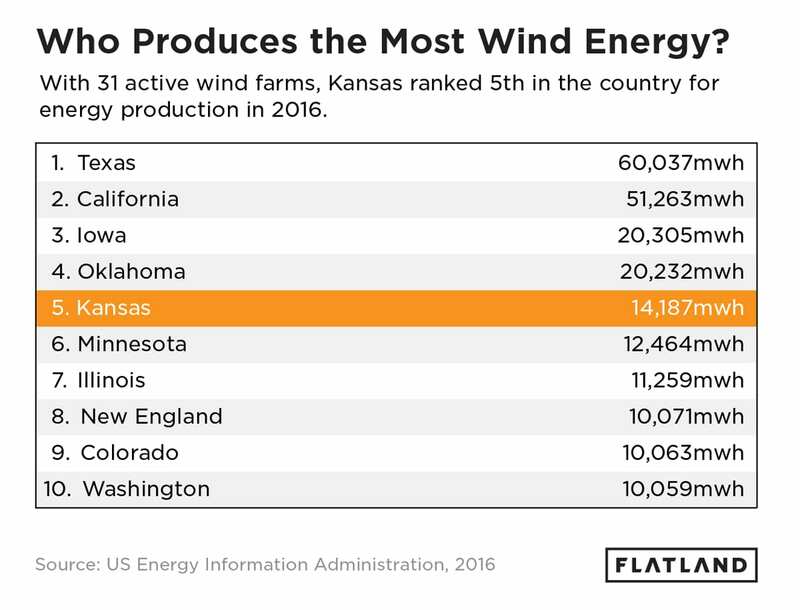 Nowhere in the country, it would seem, is that more true than in Kansas, at least where it comes to billions of dollars in tax-abated wind farms. If wind farms were taxed, state law would require that counties give a significant portion of that money to local schools. But there is no such requirement for any portion of the money from PILOT agreements. Besides, Hagedorn added, counties are free to distribute money to schools whether or not that is part of the PILOT agreement. An analysis by Flatland and interviews with local school officials, however, shows that hasn’t often happened. Some counties voluntarily distribute a portion of their PILOTs to school districts, but some don’t. Some PILOTs don’t even prescribe how much goes to the schools. In fact, only seven of 39 PILOTs detail where the money goes. “We receive zero dollars as the prior superintendent worked out some arrangement … for the money to go to the county,” said Bert Moore, superintendent of the West Elk School District in Elk County. The large county-to-county variations in PILOT funding for schools has also sparked hard feelings between some districts. Spearville superintendents didn’t respond to request for comment. In Sumner County, the 40-year PILOT agreement with the wind farm there will pay the county about $392,129, this year, with payments increasing 1.5 percent a year to a maximum of $660,000. But the county distributes only $25,000 a year from that payment to each of three county school districts. And the payments stay flat over the 40-year payment schedule even as the overall payment to the county rises by 60 percent over the life of the agreement. Cathi Wilson, superintendent of Oxford Unified Schools in Sumner County, said she was happy to get the $25,000 in additional funding to buy resources for technology training, but she added that she has never even seen the county’s PILOT agreement. In Mark Buck’s district in Barber County, however, there’s no income from a billion-dollar wind farm he can see from his office window. Enel Green Power North America, one of the largest wind power companies in the state, says it has tried to send PILOT dollars directly to rural schools. A spokesman for the company, which is based in Spain, said it entered a separate voluntary contribution agreement in Clark County that sends money directly to local schools. In addition, its newer PILOT agreements have directed 20 percent or more of their payments to local schools. In Lincoln County, officials established a special fund to distribute those payments more equitably. State subsidies were supposed to make up for inequities created by the wind farm exemption and other differences in a county’s tax base. The idea behind the state’s constitutional requirement was to equalize school funding between the richer and poorer school districts. But a Kansas Supreme Court opinion handed down October said the state has been shortchanging schools, especially its poorest districts, for years. By the end of fiscal 2012, the court said, the state had underfunded poorer districts by $511 million. The court did not say specifically how much the state needed to come up with to meet constitutional requirements, but John Robb, one of the attorneys representing the school districts that brought suit against the state over funding inequities, said that number is $600 million. According to data collected by the Kansas Department of Education, there are 63 school districts in the Kansas counties where the state’s operating wind farms are located. Of those, 23 districts spend well below the statewide average of $13,033 per pupil, and many others are close to it. Most of the districts in Ellis, Pratt, Grant and Finney counties are well below the average, as is Butler County, which receives the lowest per-megawatt payment in the state. At $1,000 per megawatt, the county gets $150,000 a year from its PILOT agreement. Most schools there get no money from the PILOT, school officials said. Over the years, one of the strongest voices for ending the lifetime property tax exemption in Kansas has been the Kansas Policy Institute, a small-government think tank with strong ties to the Koch brothers, an oil industry supplier. In a deal brokered behind closed doors, the Kansas Legislature agreed in 2015 to drop a proposed 4.3 percent tax on energy generated from renewable sources, such as wind. The deal also ended the lifetime property tax exemption — but only for wind farms built after the end of last year. Those newer farms will get 10 years of property tax exemptions, then go on the tax rolls like everyone else — but at a reduced rate. All the farms built before that date remain exempt forever. “My recollection is that in retrospect, I was OK with it,” said Rep. Dennis “Boog” Highberger, a Lawrence Democrat. The lifetime exemption was meant to jump-start wind energy development, but no one thought it would happen so quickly, he said. “I don’t see a fair way to change that (the lifetime exemption) now,” he said. However, top tax officials in Kansas have suggested that when their 10-year exemption expires, newer wind farms in Kansas could mount a legal challenge under the state constitution to argue that they should receive the same lifetime exemption that older wind farms continue to get. Neither the Kansas Association of School Boards nor the Kansas Association of Counties — whose members stood to gain millions in new taxes by ending the exemption — took a position on the matter. “Many of our counties have positive relations with the wind farms and receive PILOTs from them,” said the county association’s general counsel, Melissa Wangemann. Randy Braddock, a commissioner in Hamilton County in extreme southwest Kansas, is one of the few county commissioners who has spoken out against the exemption. Michaud, who helped form a group to fight wind farm development there, said county commissioners wanted the additional money paid under wind farm PILOT agreements so they often overlooked environmental and property value concerns and were willing to accept whatever claims the wind farms made about job development and other local benefits. “I was never opposed to wind energy, just to the way they are putting it in,” he said. Wind farms have offered less of an economic boon than the industry had promised, according to recent analyses by independent economists. He said the majority of the economic effect of wind farms benefits local landowners who lease plots to the farms. Now, many states are pulling back from their initial promises to the wind industry. In Texas, lawmakers want to end a 10-year property tax abatement deal. Local zoning boards in California are restricting land use to the point where new wind energy development has all but stopped. And the Iowa Legislature recently declined to extend that state’s tax credit for wind farms beyond the end of this year. In Oklahoma, which like Kansas is facing substantial budget problems, the state is ending its zero emission tax credit, a move expected to save the state $500 million over the next decade. While its five-year property tax exemption for wind farms has ended, the state will continue to pay the tab for lost taxes to Oklahoma counties until the end of 2021. On the federal level, the government is projected to lose a total of $23.7 billion in tax revenue through the wind production tax credit from 2016 until it is phased out in 2020, according to a 2017 report by the Congressional Joint Committee on Taxation. While the production credit had lapsed in the past, the phaseout leaves the impression that the credit will not be extended any further, said Kevin Steinberger, a policy analyst at the Natural Resources Defense Council. Back in Kansas, Ellsworth County appraiser Carl Miller remains frustrated with the recent compromise. Miller said a few county officials had proposed a compromise under which, if all wind farms would agree to go on the tax rolls after another 10 years, counties would subtract from their taxes what they had paid in PILOTs. But, Miller said, other commissioners wanted to keep the exemption and continue getting much less from PILOTs because they have more control over how PILOT money is spent. “I told them they were being greedy and not worried about their constituents,” Miller said. Flatland has completed an independent analysis of all 39 PILOT agreements — payments in lieu of taxes — across 24 Kansas counties, and the findings show that those county officials could have benefited from expertise and statewide standards that other states have provided their local officials in these kinds of negotiations. Over the past few decades, these 39 agreements vary significantly from county to county and from wind farm to wind farm. A good example of the variance happened in 2006. That year, Butler County, in southeast Kansas, negotiated on 100 wind turbines, and Ford County, in the southwest part of the state, negotiated on 67 of the same-sized turbines, each with different companies. Based on the number of turbines alone, Butler County would have earned more on its leased land, had the state Legislature in Topeka not given wind turbine companies a lifetime property tax exemption. Instead, Butler County negotiated with Iberdrola a flat annual payment of $150,000. Ford County and KCP&L negotiated a base payment of $70,000 more, plus an increasing payment schedule. This year, the county will receive $283,703. Butler County, with the worst payment schedule in the state of Kansas, will never see an increase. Martin Long, one of three Grant County commissioners who negotiated that county’s PILOT with Enel in 2014, said he didn’t feel as though he had any leverage. While counties don’t receive state guidance, some work among themselves. Kingman County commissioners said they saw examples of other PILOTs from the Kansas Association of Counties. In addition to lacking a statewide standard for negotiating the PILOT schedule, there is also no state oversight for dispersing the funds within the counties. Flatland reached out to the 63 school districts in counties with wind farms and was told by superintendents that Ford, Lincoln, Coffey, Gray, Sumner, Haskell and Ellsworth counties receive funds for their schools from PILOTs. Twenty-three districts did not respond. This year, the 24 Kansas counties will receive more than $12 million in income from wind farm equipment. — For more in-depth investigative stories, follow Flatland @FlatlandKC. This reporting was done in partnership with the Midwest Center for Investigative Reporting, an independent, nonprofit newsroom. MCIR’s Johnathan Hettinger contributed. How do you come up with what the taxes would be on a wind farm if there are none being taxed now? What rate will they be and who assigns that rate? If taxed what guarantee would the counties have that if would be redistributed back to the counties? We requested the mill levies from the Kansas Department of Revenue, and received a file with the average levies for all the counties in Kansas. We used the average from the 24 counties with wind farms to get 0.130425. Before using that number, we had to depreciate the equipment using an appraisal factor. Kansas law dictates the rate of equipment depreciation. The first year the depreciation factor is 0.857, second year 0.714, third year 0.571, fourth year 0.429, fifth year 0.286, and it maxes out at 0.2. After the appraisal factor, all Kansas commercial property is multiplied by 0.25 to get the assessed property value. This number was then multiplied by 0.130425 to get the projected property taxes. We then checked the property taxes and the portion the schools would receive with county clerks and superintendents for accuracy.